Eyelid surgery – Oculoplastic surgeons specialise in repairing malformations of the eyelid such as ectropion, entropion and canthus repair. Additionally, surgery for the correction of droopy eyelids or ptosis is also an oculoplastic procedure. Treatment and reconstruction of the eyelid after eyelid tumour surgery is also carried out by oculoplastic surgeons. Surgery involving the tear duct apparatus – Surgery of the lacrimal apparatus in the case of ocular conditions such as tear duct obstruction involve procedures such as dacryocystectomy, CDCR and canaliculodacryocystostomy. These procedures are specialised in by oculoplastic surgeons in India. Removal of the eye – In the case of ocular tumours which require eye removal, the procedures of enucleation, evisceration and exenteration are performed by oculoplastic surgeons. Reconstruction of the orbit – The reconstruction of the bony structure of the orbit and the fitting of ocular prostheses etc. is carried out by oculoplastic surgeons. Other facial procedures – Various cosmetic facial procedures such as dermal filler injections, browplasties, facial liposuctions etc. fall under the purview of facial plastic surgery and oculoplastic surgery in India. 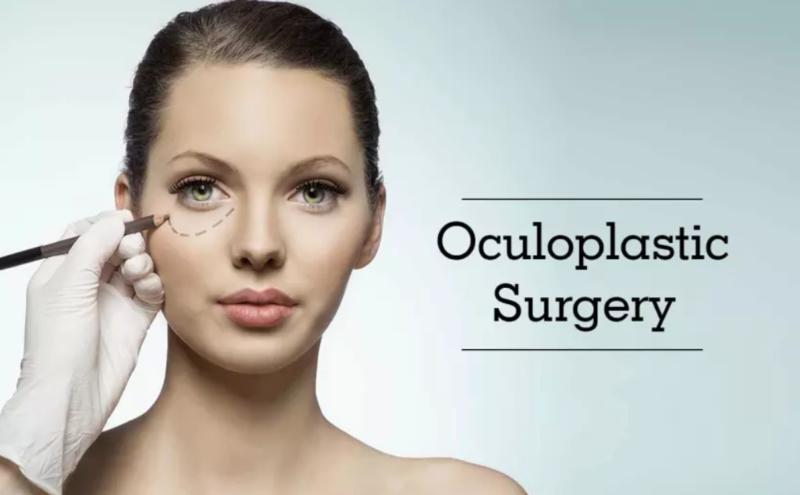 Oculoplastic surgery in India is a sub-specialisation of ophthalmology and plastic surgery. Currently, there are several well-reputed oculoplastic surgeons in Mumbai. Many oculoplastic surgeons in Mumbai consult at multispecialty hospitals and can be approached for consultation in the case of ocular problems as well as facial reconstruction. Dr. Debraj Shome is amongst the best oculoplastic surgeon in India. He has trained at LV Prasad Eye Hospital in Hyderabad, followed by prestigious fellowships in several highly ranked hospitals all over the world. He has been named the best oculoplastic surgeon in India and was felicitated with the title of ‘Most promising face in plastic surgery in India’ in 2015. He has been instrumental in setting up The Esthetic Clinics in Mumbai, where some of the best oculoplastic surgeons in Mumbai practice. If you have any medical conditions related to the eye socket, eye or face, drop into The Esthetic Clinics for a consultation, or make an appointment with Dr. Debraj Shome, the best oculoplastic surgeon in Mumbai, India.